Left Coast Naturals > Left Coast Naturals > Left Coast News > We’re HACCP certified! We recently passed HACCP certification! You’re wondering what that means and how pronounce it (try “hassep”). 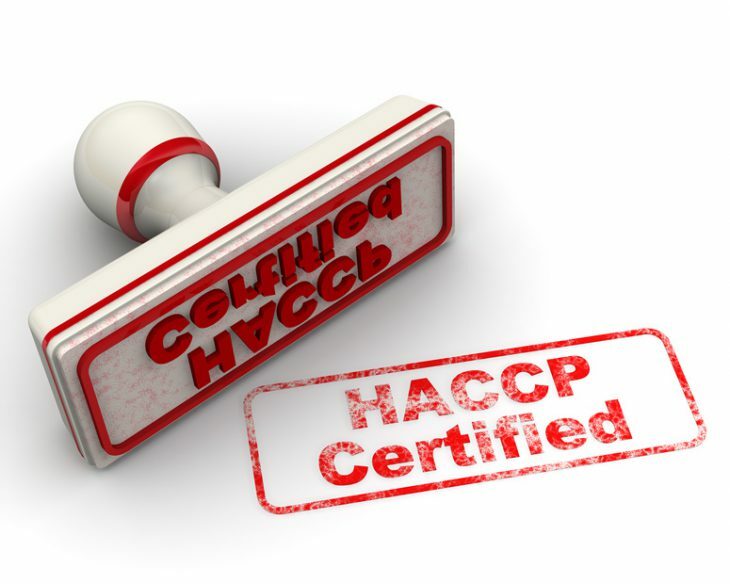 HACCP stands for Hazard Analysis Critical Control Point, and it’s a systematic preventative approach to food safety, rather than attempting to inspect issues with finished products. Fun fact: HACCP was originally developed by Pillsbury for NASA. It’s a big deal here at Left Coast Naturals because this means we’re creating safe—not to mention healthy and delicious— Hippie Snacks for you to eat! 1 What does HACCP mean? HACCP considers every single processes in a facility to make sure there are no potential dangers that might affect the integrity of the finished product. When we talk about contaminated food, the first thing that comes to mind is usually bacteria. In addition, a big part of HACCP is also looking at the potential chemical (e.g. pesticides) and physical hazards (glass particles). 2 Why is it important to have a HACCP system? HACCP is an internationally recognized program that has very clear standards. Many retailers will request HACCP certification because it’s a sign that we follow certain procedures when it comes to quality. At the end of the day, being HACCP certified means giving our stores the confidence that when their customers buy our product, they will be safe. 3 How hard was it to pass HACCP? It’s a long process and it was our first time doing this! The process starts at the farm level and travels all the way to which trucking company we use. For example, when product comes off the truck, most people assumes it goes straight into storage and everything’s fine. But what could happen when they it’s in storage – is there pest activity? Are the forklift drivers trained to make sure the pallets don’t get damaged? So going through every step and doing a full hazard analysis was the hardest and the most time-consuming. 4 What is a critical control point? If more than one forklift driver can be trained, that’s not critical. A critical control point would be a metal detector. If the metal detector fails, there is no other way of controlling if metal is contaminating a product. One of our critical control points is the gluten-free test, since all Hippie Snacks products are gluten-free. 5 What did you learn from this challenging process? This is the first time I’m doing it from scratch, although I’ve updated existing HACCP programs before. Very early on you learn to depend on people and use people’s expertise on different projects. It’s definitely not a one-person job, it’s teamwork!